As you all know how much I loveeeeeeeeeeeeeeeeee to find new products and try them out. It’s like a new toy for me to play with!! I’ve never been one to stick to just that ‘one’ product unless it impressed me that much that it’s almost changed my life that I have to add it to my collection of products and combine it in with my daily beauty skin care routine. Now any sort of facial mask I am obsessed with!! I just completely and utterly love love love them!!! After 10 – 15 minutes my whole face is changed in an instant. It’s rejunvented and looks so much healthier, firmer and so much younger (I know, hard to believe but true!! Haha!). When I first got married almost six years ago, I hid from my husband that I was doing facial masks of any sort. As soon as he went to bed (and he goes to bed at least an hour, to an hour and hour earlier than me), I go and either slather my face with the clay (or cream) mask or slap on the scary halloween Jason-like Korean influenced sheet mask onto my face and relax on the couch while watching my trashy shows. After 15 or 30 minutes (depending on the product brand itself), my skin looks and feels brand knew – firmer and hydrated! This super hydrating tissue mask diffuses the equivalent level of hydrating serum as per 1 week’s use of day care. Truly innovative, its ultra-thin tissue is infused with a super-hydrating serum. 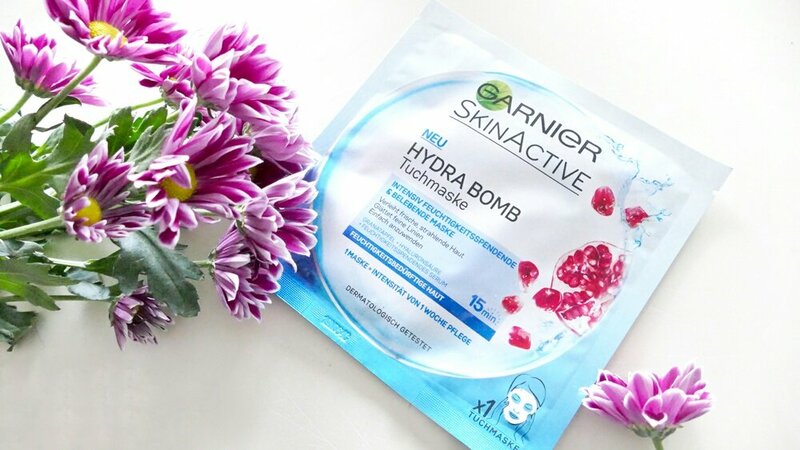 In about 15 minutes your skin is definitely hydrated and firmer! Applied to the face, it acts like a hydration wrap that continuously diffuses all the effectiveness of the serum intensely hydrating your skin. Its amazing freshness quenches and comforts skin instantly, for a pure moment of absolute pampering. The mask is easy to apply and remove. Suitable for all skin types, even the most sensitive. You can buy this facial sheet mask from Chemist Warehouse at $2.69 at a massive HUGE bargain!! 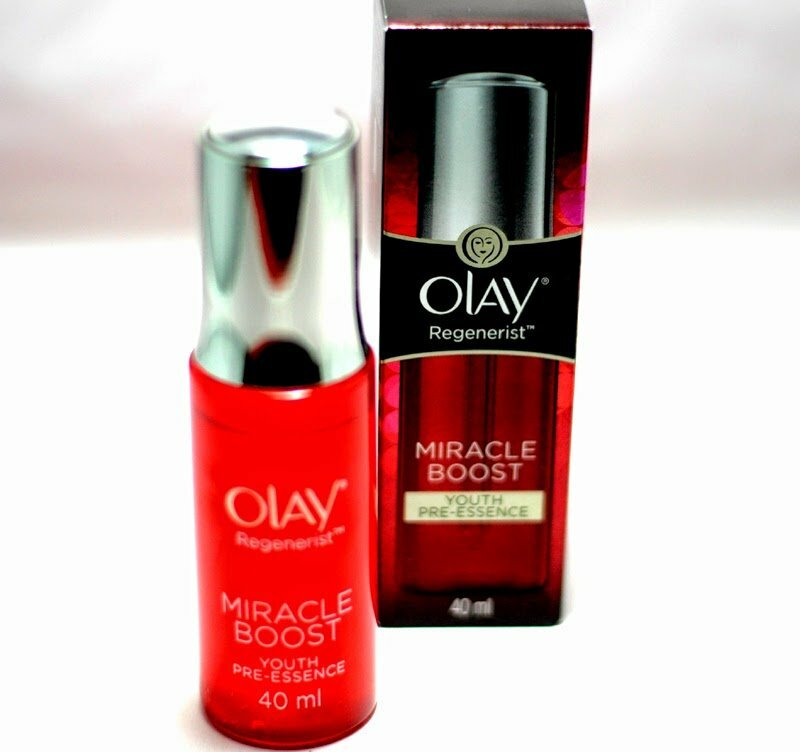 First and foremost for me – Olay Regenerist Miracle Boost Youth Pre-Essence is affordable and works. Love the ease of use via the handy dispenser which gives me the right amount to apply to my skin. The serum does not smell as many others tend to do and goes onto the skin with ease. My skin looks and feels better. I find my skin feels smoother, hydrated and replenished with daily use. I use it as a base for my day cream and night cream. I also noticed that my skin looks more vibrant and refreshed. As my skin is ageing (shhhhhhhhhhhhh! don’t tell the big companies as they may not employ me to represent their products (!!)) wrinkles are of a huge concern (as they are of a HUGE concern to every single freaking woman on the planet) and I noticed the serum gives me a smoother look and has given me lots of confidence. I like the fact that it’s not sticky and is completely fragrance free. This has product has been adopted and has become part of my skin routine due to the results it achieves. The Kardashians developed this line with Farouk Systems (creator of CHI and Biosilk) and every product contains ultra-nourishing Black Seed Oil which is supposed to be amazing for your hair. Kim Kardashian-West has said that she uses it on her daughter North’s hair to tame it when she’s putting it up in a bun or ponytail.
? 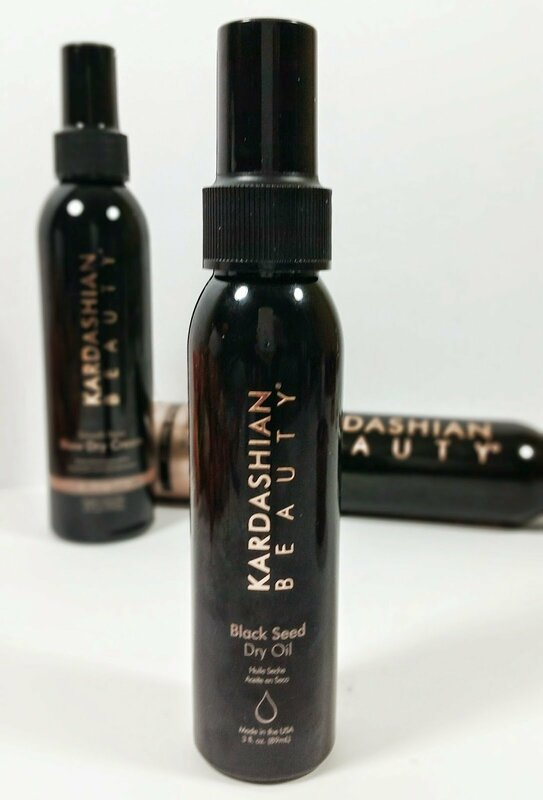 Desciption: Kardashian Beauty Black Seed Dry Oil is a nutrient rich treatment and styling aid that rejuvenates and nourishes hair so it appears strong, thick, smooth and gloriously shiny. This ultra light formula is easily absorbed, instantly nourishing and smoothing to the hair with no residue left behind. Experience the luxury of pure Black Seed Oil for the ultimate glamorous finish. The Black Seed Oil has had a lot of hype surrounding it and there are claims on various websites that it can do everything from strengthen weak hair, to actually regrowing hair that’s been lost or making hair grow faster. It does absorb very quickly! I seriously only used a five sent piece sized amount for my medium-long to length hair and applied it to damp hair before blow drying. It makes my dry, damaged hair so manageable during the drying process and afterwards, my hair has softness, body, and shine. I then used the tiniest little smidge of it and applied it to my ends and worked it up to the middle, avoiding the roots – always! Let me just say. that my hair has never ever shined. After all of the coloring it goes through, I was really happy (and surprised) because this is the first time in such a long time that I really noticed my hair being shiny and healthy looking. Overall, I’m really happy with the Kardashian Beauty Black Seed Dry Oil! It makes my hair frizz-free, manageable, and most importantly, shiny so I’m definitely going to keep on using it! 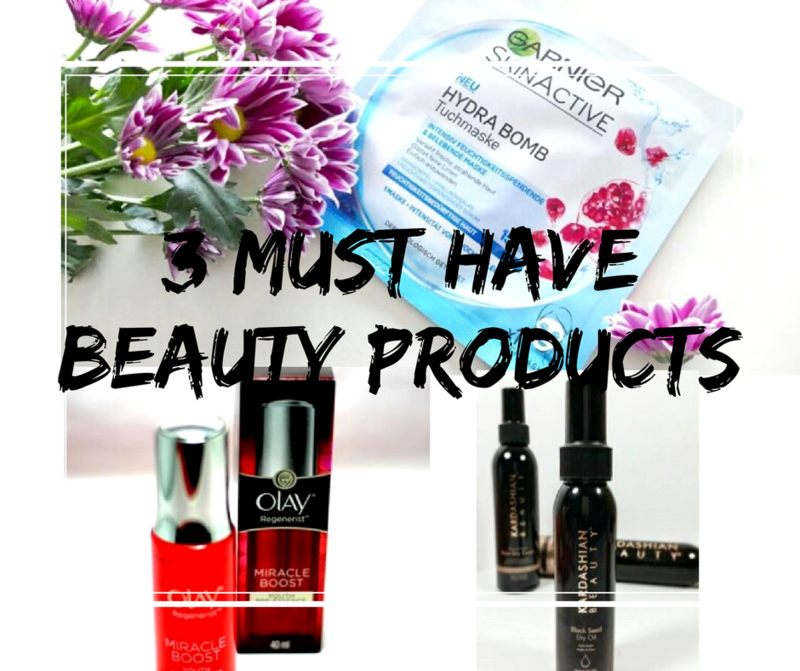 Do you have three beauty or skin care products that are your must-have products that you always use? What are they? I’d love to know if the comments below?